Home News History Did a lunatic discover West Virginia? 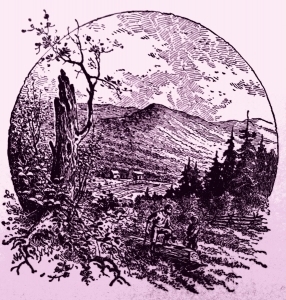 As humorous as the tale might seem, one enduring West Virginia legend posits that the land now within the boundaries of the Mountain State was first visited by a “lunatic,” at least as far as visitors of European descent are concerned. De Blainville, to establish French claims to the Ohio Valley, buried at least six leaden plates at the mouths of major tributaries of the Ohio, including the plate at the mouth of the Kanawha. “The report given by the ‘lunatic’ influenced Jacob Marlin and Stephen Sewell to settle at Marlin’s Bottom [now Marlinton] in Pocahontas County, the first permanent settlement in what is now West Virginia,” Comstock wrote. Comstock in his 1976 retelling in volume 13 (page 2883) of the encyclopedia declines to cite a source for the tale, but Comstock, by his own admission, knew a good story and never let lack of a source prevent him from passing a tale along.